Regular skin check exams can literally save your life. 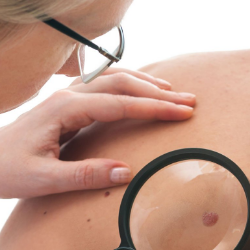 Skin check exams are FREE at the Ecopolitan Health Clinics. Tell a friend or family member about the Skin Clinic & Free Skin Lesion Evaluations. Let them know that there is a safe and noninvasive way to remove their unwanted or dangerous skin lesions. Don't be shy... SHARING IS CARING. You could be helping them more than you know.